Hey there folks, it’s the internet radio show for people who love film, are interested in film or want to get into film. Joining Michael Raso in the studio today is Mat Marrash, Mark Dalzell, John Fedele, Mark O’Brien, and Leslie Lazenby! The gang will be giving a 2019 update for Film Ferrania, reviewing What’s Hot and What’s Not in the Used Market, the FPP Heat Helper, an update on the Viewmaster 3D, and Mat recounts his adventures shooting Large Format in Africa - all this and more so stay tuned! We’ve been adding some exciting new film to the FPP store - we now carry both the Cinestill 500T and 50D, (in 35mm and 120)! These are Kodak Vision 3 motion picture films that have had the Remjet removed, which means you can send them off to your favourite C-41 the only lab or process them yourself in our C-41 kits, but you don’t have to worry about cleaning off that black carbon backing. Also new in the store is the Street Candy ATM 400, another respooled surveillance stock that once was used with ATM security Cameras, a black and white film that can be processed like Ilford HP5! Another favourite for street shooters is the JCH Streetpan in both 35mm and 120. And, don't forget since December we're offering the Hamm Camera Co. Pinbox! Mat and his buddy Tariq Tarey recently took a trip over to Africa, specifically Senegal. Tariq, if you remember does a lot of outreach work with refugees in the Columbus, Ohio area. And recently one of Tariq’s buddies moved back to his home country of Senegal on Africa’s Atlantic coast. So when Tariq went over, so did Mat. To make things more exciting, they brought Large Format cameras and loaded up on Kodak Portra 160 and Fuji Velvia in 8x10 film. While there they hooked up with a non-government organization which helps out the population, while also taking advantage of every opportunity to document their trip. 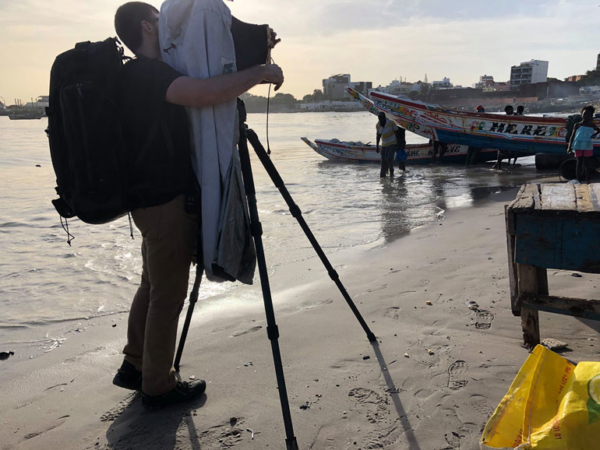 Their subject matter was primarily landscape, including a weird Salt Lake containing pink water, but they also stayed in the Senegal capital city, Dakar - a city very much like Manhattan with a lot of people in a small space - which gave them plenty of opportunity for Street Photography. When it came to packing, bringing large format, was a bit of a logistical nightmare and Mat only calmed down once the film came back processed and looking good! Mat did a lot of research before even packing because if you put your film in checked baggage, the X-Rays will fry it. Mat does recommend putting your film in your carry on but keeps those film speeds under ISO-400, that way it can take a few doses before you start to see the damage. Tariq’s bag went through about five x-rays, and Mat went through seven, even freaking out when they tried to crack open an entire box of exposed sheet films to perform a swab test (for explosive residue). But the film took it well since an X-Ray pre-exposes the film just a touch, so the effect is cumulative. And while you can get X-Ray proof bags, which will cause one of two things to happen. First, if you’re in the USA, the machine will pick up on the bag and pump up the juice, which still isn’t enough to damage the film, or it could cause you to be screened a little more closely. The big take away is to stay calm, be respectful, and be ready to explain. So in the end, was the trip worth it despite taking Mat outside his comfort zone? The answer, Yes. Inspired by Mat's trip, the rest of the gang discuss their top choices for film stocks to bring while on the rickety road. For Mark O’Brien, he would take along Fuji Provia 100, Ilford HP5+, and Kodak TMax 400. Of course, Mark Dalzell would take along Svema 125, Arista 100, and Kodak Portra! For John Fedele, he would take a Colour Slide Film, Kodak Ektar 100, and Svema 125. For Mat, he would take along Kodak Portra 160 which loves in colour, but they also make a beautiful B&W when desaturated in post-production, along with Kodak 400, and finally Ektar 100. Michael unlike everyone else around the table doesn’t have a set group of films for travel because he tests out so many films he grabs whatever he has in the fridge. Leslie’s choices for travel films are Svema Foto 200 "because it makes the world look like it should", Ektar 100, and finally Kodak Tri-X - because it will never let you down. 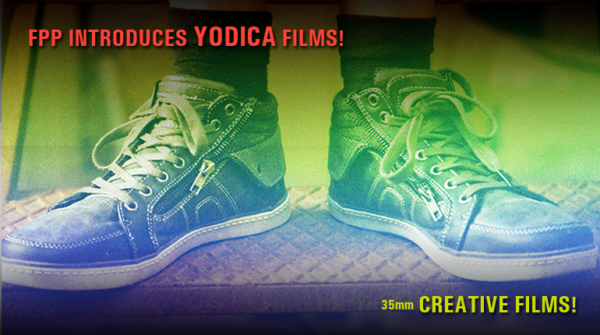 You may recall from a past podcast that recently the FPP introduced Yodica films to the store - these are special effects films which have strange pre-exposed patterns across your images and feature different celestial names such as Antares, Sirio, Vega, Atlas, Andromeda, Polaris and Pegasus. Now, Michael and Leslie dig deeper into the line, discussing how the various effects differ from film to film and highlighting some of the far-out results. These are 36-Exposure ISO-400 films that can be done in any C-41 processing both in Lab and at Home. If you want to try them out because they sell out fast. So head on over to the FPP store today! Mat’s job at Midwest Photo often involves a lot of work with used photographic gear, so he's well positioned to give you guys an update on trends in the 2019 used market! Small SLRs like the Nikon FM and Olympus OM series cameras continue to be popular. And while the price on the OM bodies is staying steady, the lens is starting to creep up because they’re being used by videographers who are using adapters to mount these on digital video cameras. There’s still a lot of interest in the Pentax K1000, but availability is starting to run a little bit dry. Big SLRs like the Nikon F or Canon A series cameras are on the cheap side these days, and the one that is particularly affordable is the Canon F-1. And of course, the popularity of compact 35mm cameras continues, especially the T-Series Contax. What’s cooling down is medium format cameras, so if that's your thing you can pick up a complete kit of the RB and RZ from Mamiya for an amazing price. Another medium format that isn’t getting love at the moment is the Bronica ETR series. When it comes to TLRs, they aren’t much in the shop these days, but the Rolleiflex and Yashica cameras remain popular. 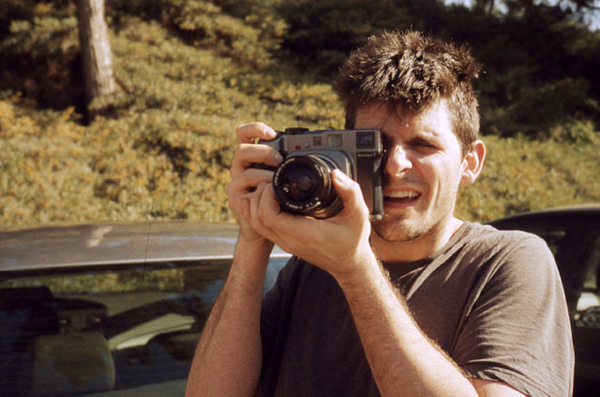 Mat also believes we’re looking at a crest on the instant market, as the OneStep2 sales have slowed down, and the used integral cameras are dropping in price. Mat also recommends not getting any Pack Film camera such as the Polaroid Automatic Land Camera since Fuji just continued its FP-100C film. 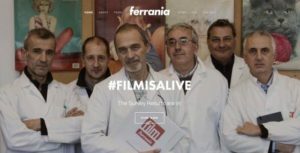 Mark O’Brien brings the latest news from our friends over in Italy, Film Ferrania! And for those who have been following along, the continuing work on the factory is impacting the production of the film, so while they are working steadily to bring it to the market they are going to stop making any prediction until items are ready to ship. If you want to keep in the know, keep your eyes on their News Webpage. 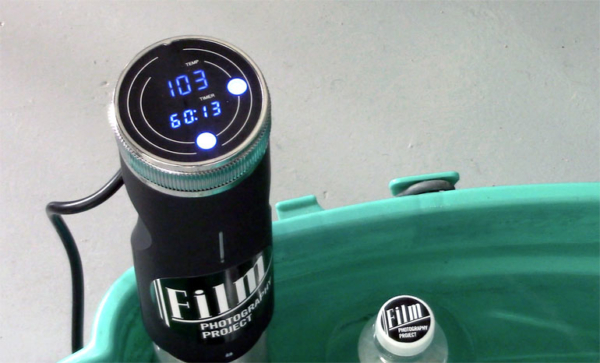 Many people struggle with maintaining a consistent temperature when processing film. And while there are several products in the market dedicated to this challenge, we at the FPP have released what we feel is the best solution: The FPP Heat Helper! This is a Sous Vide water heater (First discussed back in Episode 184), designed to be put in liquid. You simply dial in the temperature (so if you want to heat your chemistry to 68F, set the Sous Vide to 68F) and wait for it to reach that temperature before you use it. Just make sure to place the heater into a water bath, then add the chemistry (in their containers) into the water bath and use a thermometer to test the temperature of the chemicals (there's not exact benchmark as so many variables can affect the time it takes to get up to temp). Once at your desired temperature it will remain steady for the whole process - so you save water because you don’t have to keep the water running or recycling your bath! This product has been a god-send since the water at the FPP studios is extremely cold, always. Leslie first tried this out back at the FPP Walking Workshop when developing Kodak Vision3 250D, and it worked perfectly (Leslie tested against three different thermometers to ensure that the temp on the Sous Vide was correct, two were spot on, the one that was off went in the trash!). Remember to never put it directly in contact with the chemistry as it could damage the heater, and be sure to clean it off between each session. Best of all, the FPP version runs about half of the cost of other quality heaters and retails for only $49.99! You can pick one up today from the store! 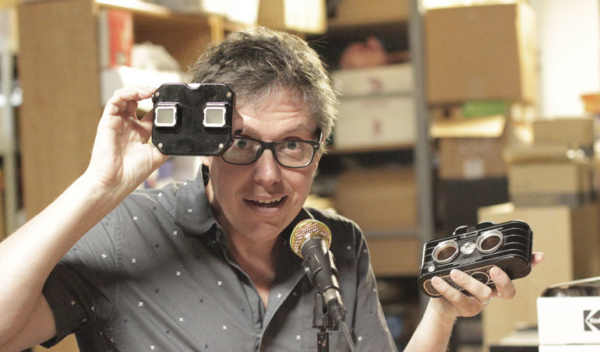 If you remember back in Episode 209 Mark Dalzell had recently acquired a View-Master Personal Camera, the same camera used to create those amazing viewmaster discs. Mark purchased discs on the used market, which can be pretty pricey since the machine that produced these broke in the 1980s and availability is scarce. Initially Mark hand cut the slide film prior to placing it in the discs, but found the labor involved was far too much effort for the result. So, he hunted down a cutter (along with more discs), and the process is now far faster and easier. But how does the cutter work? Well you load up your developed slide film, line everything up using light and lens, press the leaver, and it punches out the images perfectly and ready to load into your discs. And the best part is that you can get the cutters on the cheap these days mostly because of lack of discs. As for the discs, something like a cricket device might be able to reproduce the discs, but for Mark, it’s still worth the money to pay the money for the factory discs. And while the original discs were created using Kodachrome, the new Ektachrome E100 works beautifully as a substitute. If you want to get in on it, you can pick up supplies while they still last over on berezin.com! And if you want to check out some incredible work done in this format, Christopher Schneberger whas been using them for his own Photography Project. That’s it for this episode! If you want to connect with the community join our FPP Flickr Group where you can see a pool of amazing photographs and join the discussion. 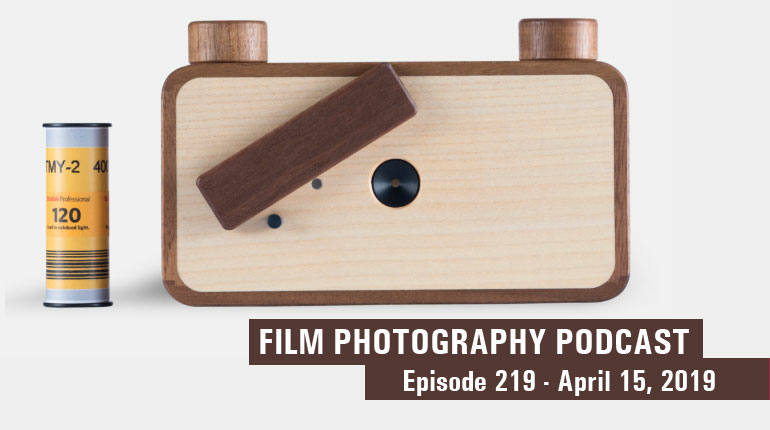 Also give us a like on the FPP Facebook page, be sure to sign up for our Newsletter (for right on our home page), and if you want to get in touch directly, email us at podcast@filmphotographyproject.com or write us a letter Film Photography Podcast PO Box 264, Fair Lawn, NJ, 07410.